• Terms and Conditions of Use. While Rx Frames N Lenses, Ltd makes every effort to ensure that all of the content on our site is up-to-date, readily available, and clearly explained, we cannot guarantee that the site will always be up or that its contents will always be accurate. Circumstances beyond our control may occasionally make the site unavailable; data transmissions may be interrupted; and we may provide links to other sites whose content we cannot monitor or otherwise manage. • Links to External sites: Rx Frames N Lenses, Ltd may provide links on the site to other sites on the Internet that are owned and operated by third party vendors and other third parties not under the control of Rx Frames N Lenses, Ltd. These links are provided for convenience of reference only and are not intended as an endorsement by Rx Frames N Lenses, Ltd of the organization or individual operating the site or a warranty of any type regarding the site or the information on the site. By using this site, you acknowledge that Rx Frames N Lenses, Ltd is not responsible for the availability of, services or products offered by, or the content located on or through, any such external site. • Typographical Errors: Rx Frames N Lenses, Ltd does not guarantee the accuracy of any information provided by third parties, manufactuers, or anyone other than authorized Rx Frames N Lenses, Ltd personnel. • Site Outages and Browser Incompatibilities: The site may sometimes be inaccessible, or it may not function properly with your web browser and operating system. Rx Frames N Lenses, Ltd cannot be held liable for any perceived or actual damages arising from the operation, content, or use of this site. • Disclaimer and Limitation of Liability: The site and the information and materials contained therein are provided "as is." Rx Frames N Lenses, Ltd makes no representations or warranties of any kind regarding this site or its operation, contents, information or materials on the site. 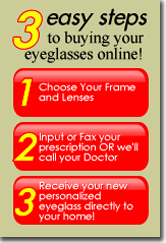 Rx Frames N Lenses, Ltd expressly disclaims all warranties, express or implied, of any kind, with respect to the site or its use and products or services offered, sold, leased, purchased through this site, including but not limited to merchantability, fitness for a particular purpose, accuracy, completeness, noninfringement, currency, reliability, or any warranty that the site or the server that makes it available, are free of viruses or other harmful elements. Rx Frames N Lenses, Ltd reserves the right to change or discontinue at any time any aspect or feature of this site. IN NO EVENT SHALL Rx Frames N Lenses, Ltd, ITS AFFILIATES OR THEIR SHAREHOLDERS, OFFICERS, DIRECTORS, EMPLOYEES OR AGENTS BE LIABLE FOR ANY DIRECT, INDIRECT, COMPENSATORY, SPECIAL, INCIDENTAL, PUNITIVE OR CONSEQUENTIAL DAMAGES ARISING FROM THE OPERATION, CONTENT OR USE OF THE site, EVEN IF ADVISED OF THE POSSIBILITY OF SUCH DAMAGES. Some jurisdictions do not allow the disclaimer, exclusion or limitation of incidental or consequential damages, so the foregoing disclaimer, exclusion, and limitation may not apply to you, and you may have other legal rights that vary according to jurisdiction. In no event will damages provided by law (if any) apply unless they are required to apply by statute, notwithstanding their exclusion by contract. • Registration: To obtain access to certain Rx Frames N Lenses, Ltd’ services, you will be given an opportunity to register with Rx Frames N Lenses, Ltd. As part of the registration process, you will select a user name and a password. You agree that the information you supply during that registration process will be accurate and complete and that you will not register under the name of, nor attempt to enter the service under the name of, another person. We reserve the right to disallow use of user name that we deem offensive or inappropriate. You will be responsible for preserving the confidentiality of your password and for all actions of persons accessing Rx Frames N Lenses, Ltd through any username/password assigned to you. You will notify Rx Frames N Lenses, Ltd of any known or suspected unauthorized use of your account. • Applicable Law and Venue: This site (excluding linked sites) is controlled by Rx Frames N Lenses, Ltd, which is headquartered in the State of Ohio, United States of America. The site can be accessed from all 50 states and the District of Columbia, as well as from other countries around the world. As each of these places has laws that may differ from those of Ohio, by accessing this site, both you and Rx Frames N Lenses, Ltd agree that the statutes and laws of the State of Ohio, without regard to conflicts of laws and principles thereof, will apply to all matters arising from or relating to use of this site. You and Rx Frames N Lenses, Ltd also agree and hereby submit to the exclusive personal jurisdiction and venue of the federal district and state courts of Ohio with respect to such matters. Rx Frames N Lenses, Ltd makes no representation that materials on the site are appropriate or available for use in other locations, and accessing them from territories where their contents are illegal is prohibited. Those who choose to use or access this site from other locations do so on their own initiative and are responsible for compliance with local laws. • Ownership of site: The design, text and images of this site are owned or licensed by Rx Frames N Lenses, Ltd, and Rx Frames N Lenses, Ltd authorizes you to view or download a single copy of the material on the site solely for your personal, noncommercial use, provided you retain all proprietary notices contained in the content. Elements of the site are also protected by trade dress and other laws and may not be imitated in whole or in part on other sites. Utilize our site to seek employment or employees. Your e-mail address is collected and will only be used to send you the newsletter(s) or the services you have requested. You may subscribe or unsubscribe from our e-mail communications at any time. Request for staffing services. Information such as name, e-mail address, phone number, physical address and company-related information may be requested. If you purchase one of our services, we may also collect a valid credit card number, expiration date and billing address. Contact Rx Frames N Lenses, Ltd with a question or suggestion in which we collect your name, e-mail address and any comments you have. We only use this information to respond to and/or resolve your question or concern. 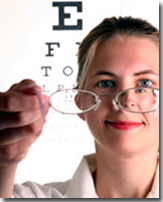 Apply for employment with Rx Frames N Lenses, Ltd. We ask you to submit your contact information and resume. This information will only be used to evaluate your qualifications for the desired position and possibly to contact you for further information. Your information will not be made available to outside companies or entities. When you visit the site, Rx Frames N Lenses, Ltd may collect technical information that does not by itself identify a specific individual. This information (sometimes referred to as "non-personally identifiable information") may include the address (or "URL") of the site that you came from before visiting the site, which pages you visit on the site, which browser you used to view the site and any search terms you have entered on our site. This technical data is aggregated and used to measure and improve the effectiveness of the site. We do not attempt to combine this technical data with the personal information we collect on our site. Unless we have your express consent, Rx Frames N Lenses, Ltd will not sell, rent, loan, trade or lease personal information such as membership data or e-mail lists to any third party. We treat all information you provide as confidential. From time to time, we may be required to provide personal information in response to a valid court order, subpoena, government investigation, or as otherwise required by law. We also reserve the right to report to law enforcement agencies any activities that we, in good faith, believe to be unlawful. We may release certain personal information when we believe that such release is reasonably necessary to protect the rights, property, and safety of others and ourselves. You remain in control of your information. Rx Frames N Lenses, Ltd will not use or share the personal information we collect in ways unrelated to the purpose for which you provided the information without first obtaining your consent. Rx Frames N Lenses, Ltd uses a variety of safeguards to protect your information from loss, misuse, alteration or destruction. For example, we use internet and network security technology to prevent unauthorized parties from viewing any personal information transmitted to or from Rx Frames N Lenses, Ltd. We only provide access to your personal information to Rx Frames N Lenses, Ltd employees and other authorized parties on a "need to know" basis. Please be careful whenever sending personal information to Rx Frames N Lenses, Ltd via e-mail. E-mail is usually not a completely secure means of transferring information. Rx Frames N Lenses, Ltd believes it is important, for privacy and security reasons, to delete information when it is no longer needed. Data retention periods differ depending on the type of information collected and its intended purpose. If you have any questions, complaints or wish to change or delete your registration information, please contact Rx Frames N Lenses, Ltd in the manner described below.